All roads lead to Koh Mak. There’s just one tricky part: getting from the mainland to the island. Our travel partner, Aurora Koh Chang travel, offers various transfer options from Bangkok to Koh Mak. With this service, your speedboat ticket is reserved or already included. If you organize your own journey, the speedboat operators will be happy to assist you. Please note, the last speedboat transfer leaves at 4:00pm from the Laem Ngob pier. 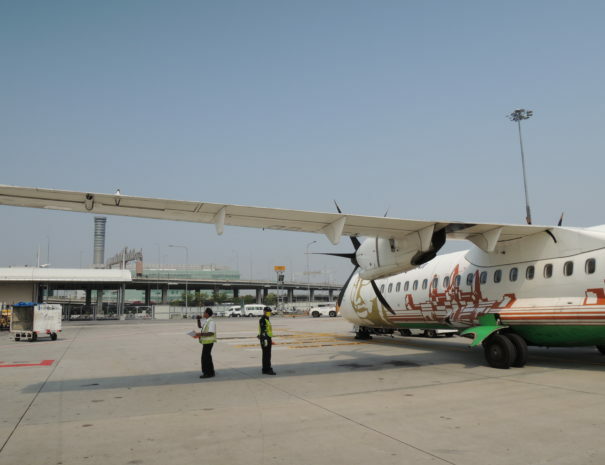 Bangkok Airways offers domestic flights from Bangkok to Trat. Bangkok Airways PG 301 from Bangkok 09:20 » Speedboat Transfer 11:00 am Bangkok Airways PG 305 from Bangkok 11:40 am » Speedboat Transfer 02:00 pm Please be aware, there will be no connecting transfer options to Koh Mak with the Bangkok Airways PG 309 from Bangkok 14:45 and PG 307 from Bangkok 16:45 pm. For our friends from Tokyo, Singapore, and other Asian destinations, NokScoot offers a perfect connection to the festival. 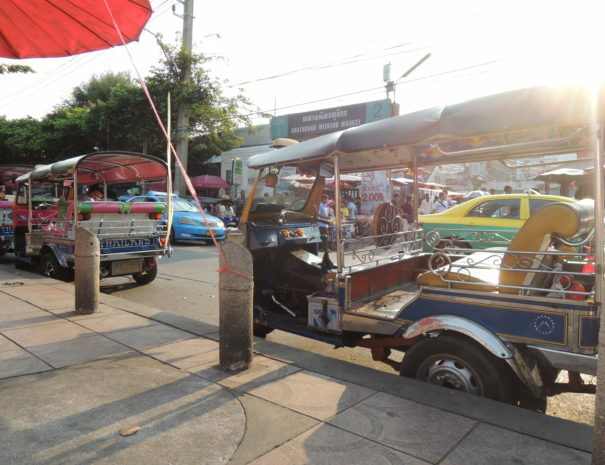 NokScoot flies to Bangkok at reasonable prices and convenient times. You will be on the dance floor in plenty of time. 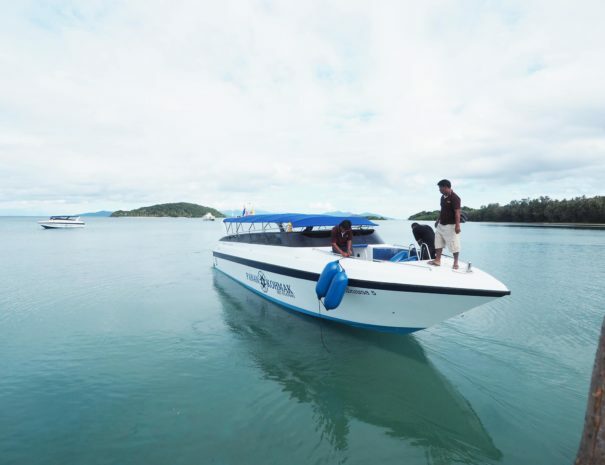 Speedboat departures from Laem Ngob Speedboat Pier to Koh Mak: 10:30 am Leelawadee / +66(0)877857695 / https://www.kohmakboat.com 11:30 am San Suk / +66(0)614288949 / www.kohmaksuansukboat.com 11:30 am Seatales / +66(0)910106455 / seatales.checkfront.com/reserve 13:00 pm Panan / +66(0)876147641 / booking@kohmakspeedboat.com 13:30 pm Panan / +66(0)876147641 / booking@kohmakspeedboat.com 14:00 pm Leelawadee / +66(0)87 7857695 / https://www.kohmakboat.com 14:30 pm Suan Suk / +66(0)614288949 / www.kohmaksuansukboat.com 16:00 pm Panan / +66(0)876147641 / booking@kohmakspeedboat.com 450 THB per way. Please reserve your ticket back to the mainland in time! Don't have your tickets yet? Book yours today! 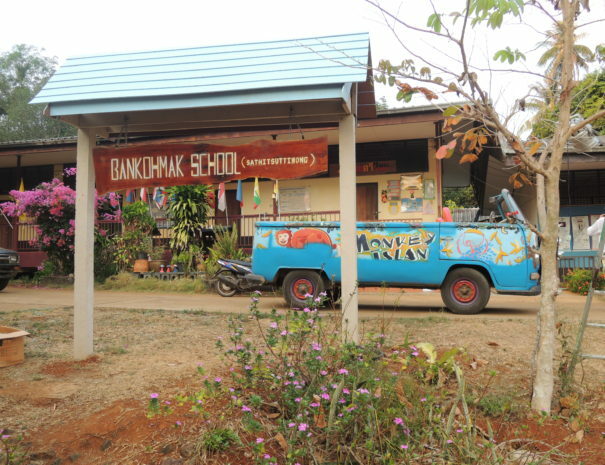 On Koh Mak there are several pick up taxis and similar vehicles who offer their services. The system is very simple. You have to be at least 3 people. The ride costs 50 Baht per person and after 10:00 pm you will be paying 100 Baht. 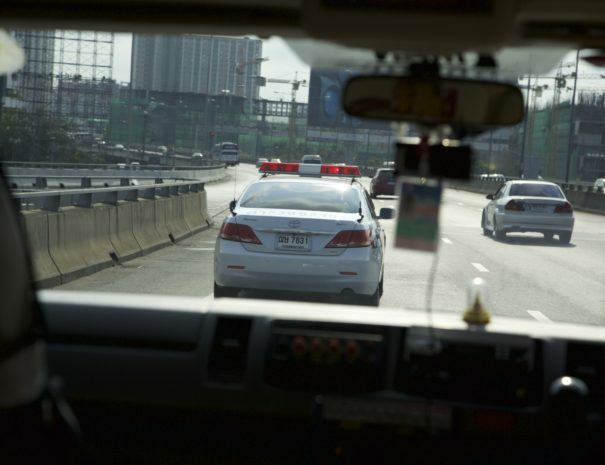 Many resorts offer additional pick up services and shuttle you to the floor.